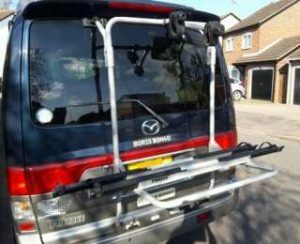 12/04/19: Thule 973 bike rack. Well-used but in working order, all parts present. Holds 2 bikes with space for a third adapter. Includes lock to secure rack to van.